Gosh darn it! Things aren’t made to be FIXED these days! Stuff breaks and it has to go in the bin! Many a rant of this kind has filled my mouth. I do so hate our throwaway culture. So when I discovered a few tricks to fix stuff I was super-high-fiving-everyone-happy. 1- Ifixit, the ultimate guide to repairing stuff. People have uploaded repair manuals from everything from ancient washing machines to iPads. This is ESPECIALLY good for those of us who love second hand shopping- when a repair manual never comes with a product. A repair manual, some time, a screwdriver and you are SET!! 2- One of the problems with fixing stuff is that you call the manufacturer and and they have moved on! They have stopped manufacturing the parts. People like Parts Planet (NZ) and Parts Master (UK) stock a LOAD of random old and new parts for everything from cars to cookers. 3- Descale it! Okay, so it isn’t the answer to all your stuff but it will work for a mountain of stuff! Anything that uses water will commonly break primarily due to a build up of scale- even in places where the water isn’t seemingly linescaley. So let your first step, before you get the repair manual out, be a quick descale. Kettles, shower heads, coffee machines, irons, taps; all will work a million times better with a vinegar soak or an official descale tablet. 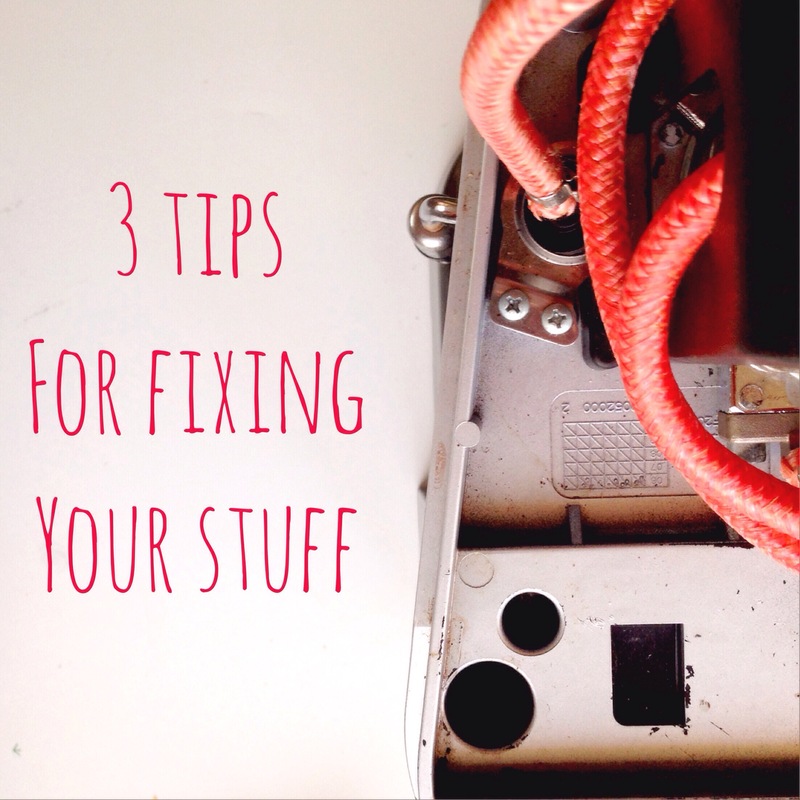 Have you get any tips for fixing stuff? PS Yeah, I realised I categorised this under Thrifty Fun, a wee joke of mine, me hearties.